Electric car can travel more than 310 miles on a single charge. 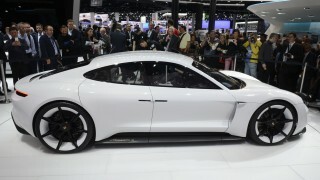 Porsche has unveiled a Tesla-challenging, 592bhp all-electric concept car at the Frankfurt Motor Show. 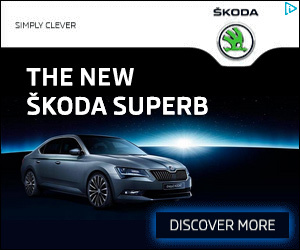 It says the car can travel more than 500km (310 miles) on a single charge. In terms of performance, Porsche claims 0-62mph time of just 3.5 seconds, with 0-124mph taking 12.5 seconds. The concept also features four-wheel steering, with Porsche Torque Vectoring automatically distributing power to individual wheels to maximise grip. The concept introduces the ‘Porsche Turbo Charging’ system, allowing an 80 per cent recharge of the batteries in around 15 minutes via the 800-volt port. The batteries can also be replenished wirelessly via inductive charging. A panel behind the front wheel coneals the charging port. The Mission E concept also features futuristic eye-tracking, gesture control technology and the capability to make posts to social media. Porsche has promised to put an adapted model on sale by the end of the decade.